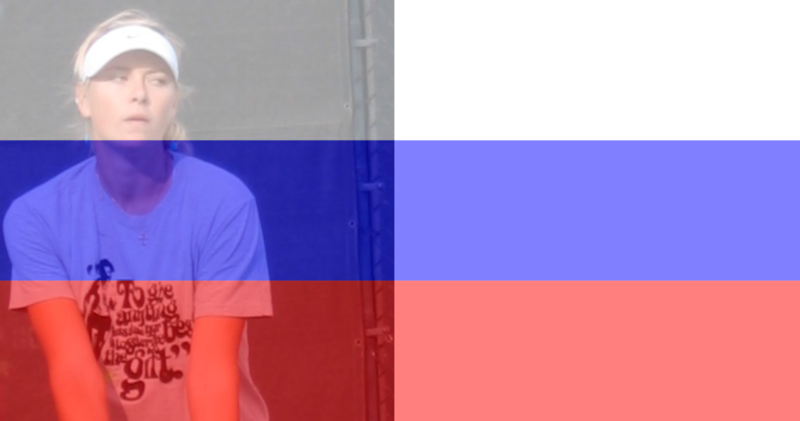 won the junior French Open title and Ostapenko won the junior Wimbledon title. All-teenage finals are rare these days, so both players made breakthroughs, of sorts, just by being the last two standing. Kasatkina entered the final with a couple of advantages: She has more of a clay court game than Ostapenko, and she has struggled a bit less than her opponent with nerves this past week. Ostapenko got off to a very good start with the big-hitting, line-painting game that had done so much damage to Wozniacki. But Kasatkina, whose bag of tricks is large and varied, had already made a decision not to engage in a hitting contest against the Latvian player. Instead, she changed the pace of the ball, most notably using slice, to throw Ostapenko off of her rhythm. 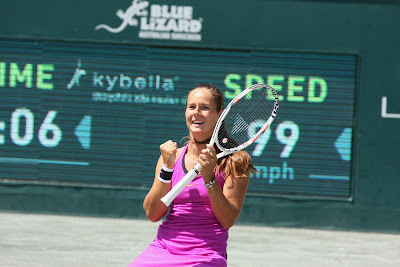 Throughout the tournament, Kasatkina had used the drop shot to great advantage; today, her drop shots were poorly executed, but she hit so few of them, she wound up not paying a big price. After she won the first set, Kasatkina was able to take advantage of an opponent who became drastically error-prone and unable to keep the ball in the court. The second set went by quickly. The new champion got a trophy and a check, of course, but she also got a Volvo to drive for a year, and was permitted to choose her vehicle among three that were driven onto the court. "...I had to really think on my own, and I was just playing with the brain. Because I didn't have so much power, I was running, trying to spin the ball, move the opponent, and that's it. I didn't have so good fitness. So yeah, I was trying to beat the opponents only with the brain work." Today, Kasatkina is fit, but she's still "playing with the brain," formulating strategy against her opponents and doing her best to flummox them with her varied repertoire of shots. 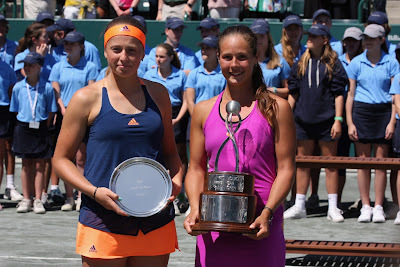 The Russian's dramatic rise through the rankings thrust her onto a path that was surely going to lead to a tour title, and it's only fitting that that title should come to her in Charleston, where big careers have been launched for decades.